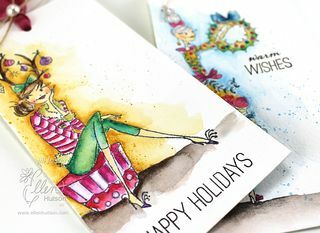 RWKrafts: Watercolor Snowmen + Winners! Have you sent out your Christmas cards yet? Do you even plan to send any? I've spent the past 2 hours simply writing addresses on envelopes! Ahhh!!! It must get finished! 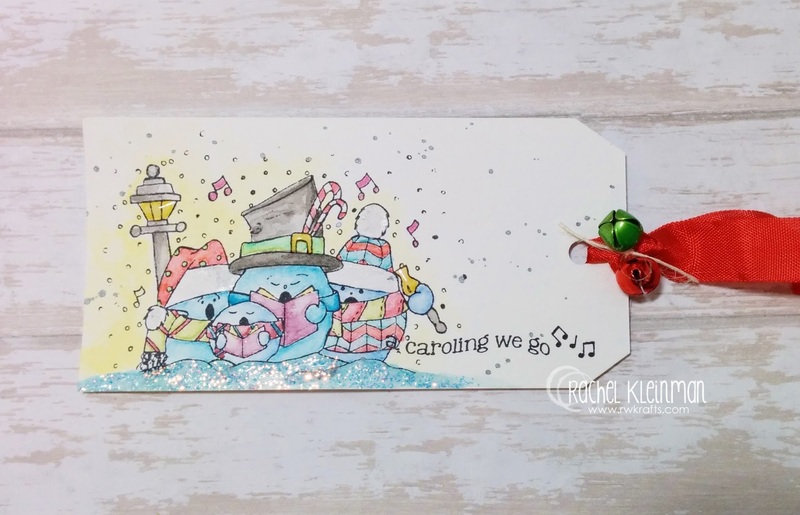 In the meantime, I get distracted by playing with pretty stamps and watercolors :) This time my holiday gift tag was inspired by Jill Foster's wonderful watercolor creations for Ellen Hutson's 12 Tags of Christmas with a Feminine Twist! I love these singing snowmen! 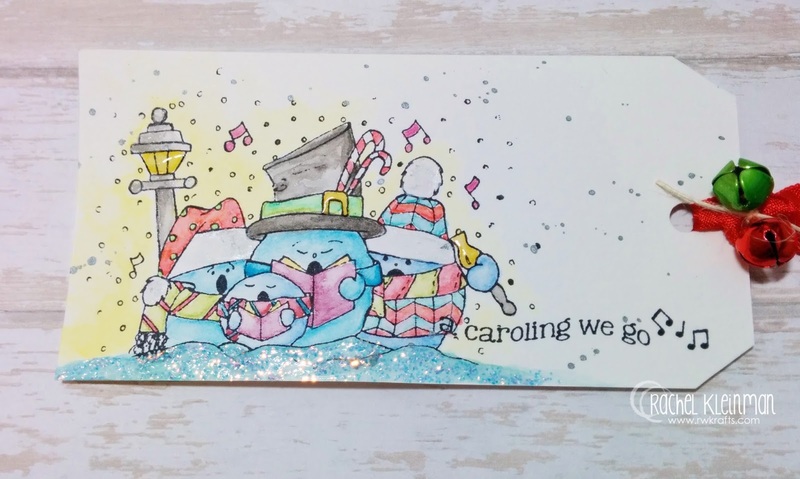 I used a cute stamp from Unity Stamp Co called "A Caroling we Go" and watercolored with my Faber Castell Design Memory Craft Aquarelle pencils and some Distress Markers. 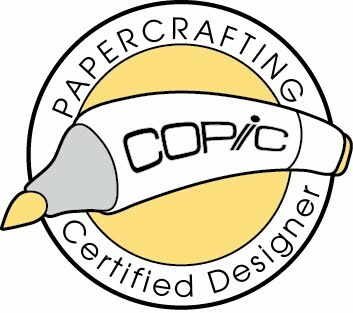 I used Archival Black Ink on watercolor paper so the stamped image doesn't smudge while I'm coloring. So my winner from DAY 5 is.... JENNIFER MITTEN! CONGRATS! So my winner from DAY 12 is.... SHARTLE! CONGRATS! 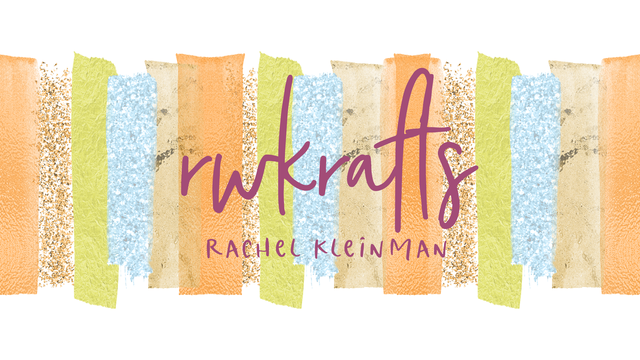 Please email me at rwkrafts(at)gmail(dot)com with your shipping address and I'll get your goodies out ASAP! Don't know what happened, sure I commented before, but, I adore the tag and congrats to the winners!